New Directions has long published poet William Carlos Williams’ entire body of short fiction as The Farmers’ Daughters (1961). 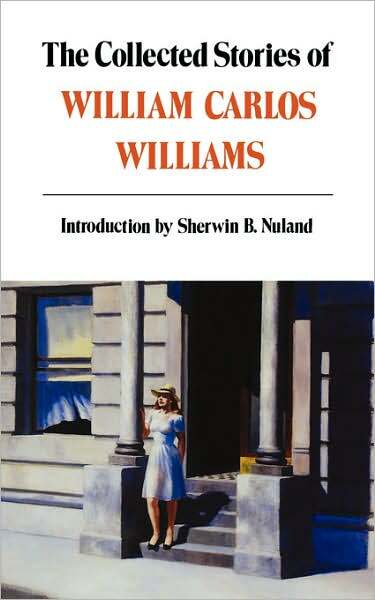 This new edition of The Collected Stories of William Carlos Williams contains all fifty-two stories combining the early collections The Knife of the Times (1932), Life Along the Passaic (1938) with the later collection Make Light of It (1950) and the great long story, “The Farmers’ Daughters” (1956). When these stories first appeared, their vitality and immediacy shocked many readers, as did the blunt, idiosyncratic speech of Williams’ immigrant and working-class characters. But the passage of time has silenced the detractors, and what shines in the best of these stories is the unflinching honesty and deep humanity of Williams’ portraits, burnished by the seeming artlessness which only the greatest masters command.